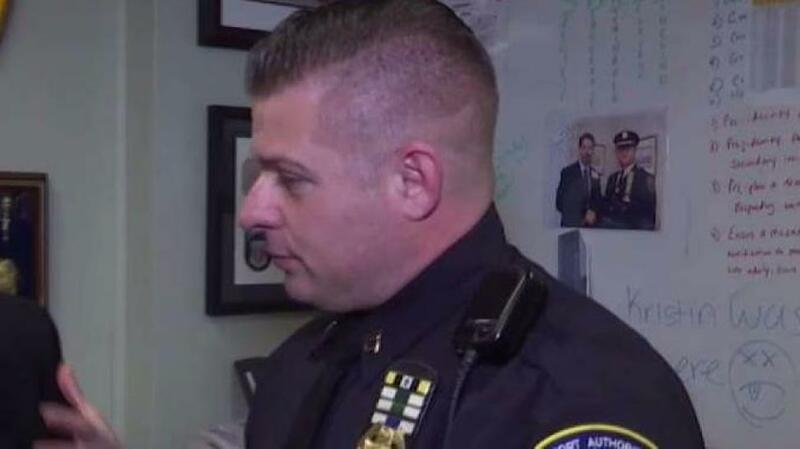 One of the Port Authority police officers who responded to the failed bombing at a subway corridor between the Port Authority Bus Terminal and Times Square talks about the harrowing experience. Andrew Siff reports. Surveillance video obtained exclusively by News 4 New York shows the dramatic moments immediately after the Port Authority pipe bomb blast last December in which first responders swarm the bomber -- and realize he's still strapped. 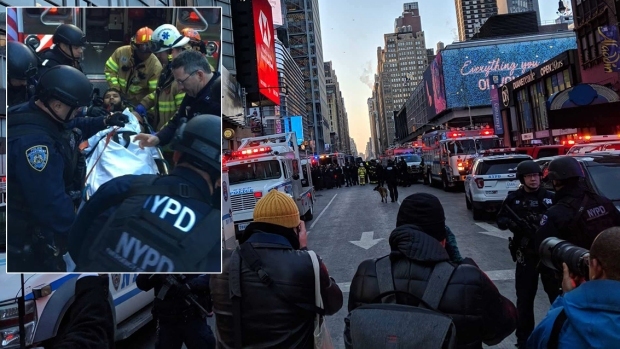 Akayed Ullah, a Bangladeshi immigrant who was living in Brooklyn, tried to set off the pipe bomb in the corridor between the Port Authority Bus Terminal and the Times Square subway station the morning of Dec. 11, as commuters were rushing to work. Video obtained by the News 4 I-Team shows a sudden flash, and then when the smoke clears, Ullah is lying on the ground, legs twitching. The corridor has suddenly emptied, and a horrified crowd gathers at one end to peer at the body on the ground, before police arrive to push them out and evacuate the terminal. A contingent of police officers and military guardsmen soon sweeps in from the end of the corridor, flashlights on and guns drawn. They descend on Ullah and, peering over his body, suddenly see something that alarms them, and they quickly retreat. Surveillance video obtained exclusively by News 4 New York shows the dramatic moments immediately after the Port Authority pipe bomb blast last December in which first responders swarm the bomber -- and realize he's strapped. Andrew Siff reports. Port Authority Sgt. Victor Talamini, one of the first responders seen in the video, recalled to News 4: "You could see that he was wired up -- at that time anything could happen." Talamini said he thought for a split second something could blow. "There might be something in his hand that they're trying to prevent him from activating," said retired FBI agent JJ Klaver, who reviewed the footage with the News 4 I-Team. "And then this officer, she steps on him." Klaver noted that the first team of officers who respond follows their training by not reaching for their radios or any electronics that could trigger a bomb. "They can't use their radios in that proximity," he said. "The training is, you're not gonna use your radio or cellphone. You're gonna back away." 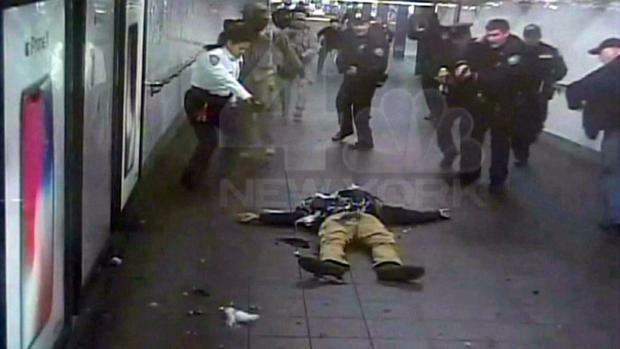 Moments later, Ullah, still lying on the ground, shows signs of consciousness as he bends a leg. Four Port Authority police officers -- who have since been honored and decorated for their bravery -- approach Ullah, cautiously, not knowing if someone else might be able to remotely activate the pipe bomb fastened to Ullah's body with Velcro and zip ties. "They're at risk here, and they know that," said Klaver, then noting of one officer: "This guy's at maximum risk because he's facing the explosives." "Heartbeats are going. This is a very nerve-racking situation for these guys." It turns out the "low-tech" pipe bomb did not fully explode. Ullah, an electrician and a former licensed city cab driver from March 2012 through March 2015, allegedly told investigators he bought the materials himself and that he found the pipe at a job site close to Port Authority Bus Terminal, around 39th Street and Eighth Avenue. "We are fortunate he wasn't on the other side of the corridor. He would have had other people in between," said Talamini. Talamini and his colleagues are set to be honored Thursday by the Port Authority. "For me, I'm glad -- for my officers, the public -- everybody went home alive that day," he said. Prosecutors have said Ullah wanted to cause carnage to avenge U.S. aggression toward the Islamic State group. When questioned, Ullah allegedly told investigators he intentionally detonated the device in that passageway because he noticed a holiday poster in a corridor nearby and, angry over U.S. bombings in ISIS controlled territory, was inspired by ISIS-style Christmas threats, according to two law enforcement officials. Ullah has pleaded not guilty to terror charges, including providing material support to a terrorist organization and using a weapon of mass destruction.